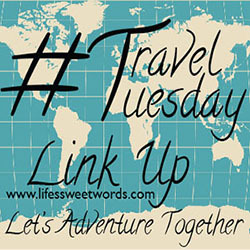 I am linking up today with day ten's prompt for Blogtember. Originally I had planned to make this a love letter to people. To all the people who made my family feel so cared for in these past months. I went to type weeks but realize it has been much longer than that. Time has seemed to have a warped sense of reality for me lately, it flies and yet goes so slow all at once. I still plan to write that post about people (I have been meaning to for sometime now) but ever since posting the self portraits I have not been able to think about anything but that girl, the one in the picture. I want her back. I want the girl pictured above back. And so I write this letter for her, I write this letter for me. I love you! I am sorry it took me losing you to realize just how much. I wish you hadn't gone away. I miss your smile. I miss the way it not only showed up on your face, but the way you felt it deep down in your soul. I pray that you will be back soon. Your utter joy with the world astounds me. You struggled, yet there was always something in you that sought the best. I loved the way you said that everything would be ok and that you truly believed it. I am sorry if that is not the case anymore. I loved your optimism and your zest for life. I miss your ability to believe that everything is not only going to be ok, but that it is going to be great. I apologize that you now view life without that filter. I am sorry that you now believe that life sometimes just is what it is. If I could give those feelings back to you I would. Maybe we can find them together. But for that to happen I need to see you. I need to feel you. I need to know that there is a part of you that is still with me. I want you back. I want you to sing along to the radio at the top of your lungs, not to drown out the emptiness you are feeling, but because you find joy in singing along to a song that means something (or that just has an awesome tune). I want you to watch a movie, or some corny reality tv show, and get crazy because it was a horrible ending that you had called all along but hoped you were wrong about. I want you to be able to remember the movie days later because it was something you actually watched and not just some screen you stared at to pass the time. I want your fight back!! I want you to get mad, I want you to have something mean so much that you have a reason to argue with someone! I want your sass back! I want you to care about the little things that drove you into a tizzy. I want you to get upset when there are no garbanzo beans for your salad or when you realize you are out of Mt. Dew for popcorn night and the popcorn is already popped. I want you to act like it is going to ruin your whole evening unless you have that Mt. Dew and pout so that Babe will go to the corner store and come back with five in hand (either because he loves you just that much or because he doesn't want to hear you gripe. I love how you always chose to believe the first even though you knew most of it was the latter). I want to say thank you for holding on. I want to say thank you for showing up and trying to make your face match what it always had. I thank you for the energy you left behind; it has helped to keep my feet moving and my body get out of bed. I thank you for continuing to know that even though the picture may be a little different now, that you still look to a source higher than yourself and know that someday things will be better, that it just may not happen here on this earth. I wish you continued to believe that would happen this side of heaven. But God did not promise us that we would not struggle, he did not promise us that we would not fall; thank you for continuing to hold on to the fact that He will catch you when you do. Thank you for knowing enough of this world to know that there will be happy, blissful, wonderful moments. Please remind me, if you can, that they are all around me if I just look closely. I just want you to know that I will fight for you. I want you to know that though it may not seem like it right now I am looking for you. I vow to not let you go forever, I wish we hadn't needed to take a break. You are amazing, you shine and you love so wholeheartedly that it often hurts. Don't ever lose that! loved (even though they are a tad old). Maybe because I find them so me? I'm posting... and it's not a Saturday. Saturday's post got started but never happened. On Saturday I planned to take this fun personality test for Blogtember, which I did. And then I planned to post the results, which I didn't. So here they finally are. ENFJs are global learners. They see the big picture. The ENFJs focus is expansive. Some can juggle an amazing number of responsibilities or projects simultaneously. (The new j-o-bs are teaching me how very true this can be) Many ENFJs have tremendous entrepreneurial ability. ENFJs are, by definition, Js, with whom we associate organization (ummm? Organization?) and decisiveness. But they don't resemble the SJs or even the NTJs in organization of the environment nor occasional recalcitrance. ENFJs are organized in the arena of interpersonal affairs (oh, makes a little more sense now). Their offices may or may not be cluttered (cluttered, definitely cluttered), but their conclusions - reached through feelings- about people and motives are drawn much more quickly and are more resilient than those of their NFP counterparts. ENFJs know and appreciate people (people have been my saving grace in many ways lately). Like most NFs, and Feelers in general, they are apt to neglect themselves and their own needs for the needs of others. They have thinner psychological boundaries than most, and are at risk for being hurt or even abused by less sensitive people (Oh heck! Not sure how fitting I find this but I guess my trust in people has been known to hurt me in the past). ENFJs often take on more of the burdens of others than they can bear." There was a little more information given but I thought the first main portion was the most fitting. It was interesting to me to see certain things in a different way. When it first said organized I figured something had to be wrong. When I kept reading though and understood what was being said, I realized how fitting it was and was also quite proud to thing of myself as an organized person (even if it is only internally). I also found it fun that Oprah was also an ENFJ (I love me some Oprah)! 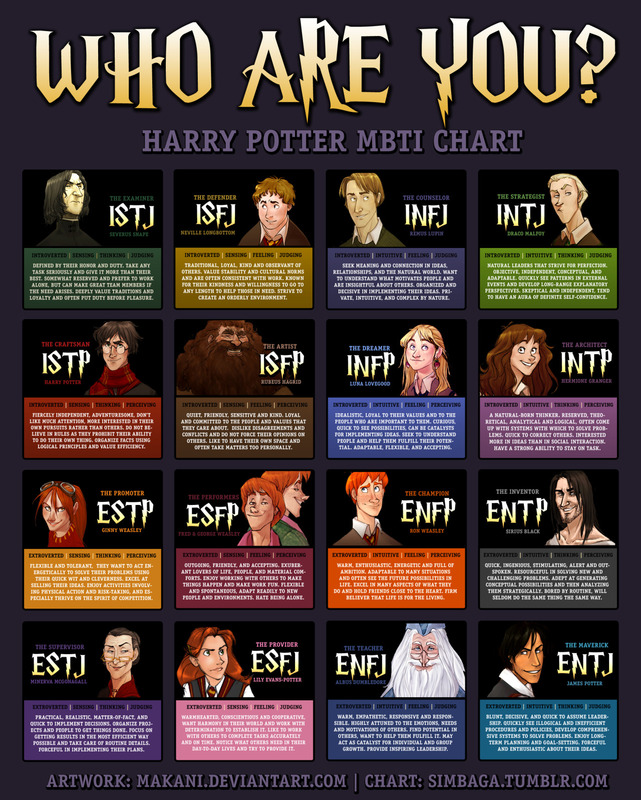 And based on the match up that Jenni found, Dumbledore would also be an ENFJ. That he was my match was a little surprising, but rocked my Harry Potter loving socks! "It is our choices that show what we truly are, far more than our abilities." Smart man that Dumbledore! 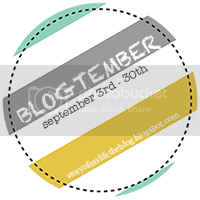 Jenni's first prompt for Blogtember was Describe where or what you come from. The people, the places, and/or the factors that make up who you are. And for me, it just so happened that, I already had something in the works. One of those posts I had started and never finished. I figured today was the best moment try to give it a shot... The people in my life have shaped and molded me, this most recent time in my life is shaping me even more. I come from a family that loves and loves hard. But I also come from a family that is its own concoction of dysfunction. Which all families seem to be in some way or another. This is all a part of mine. I am the sister of an addict, but I am not. I am not the sister of an addict because there is no addiction in heaven. I will always be the sister of an addict because that is what I was taught to be. I am the sister of a boy; a boy whose struggle was often greater than his resolve. I am the sister of a boy; a boy whose light shone so brightly that his story will continue on. I am the sister of a man; a man who learned what it meant to work for something he was proud of. I am the sister of a man; a man who gave the best he could in order to love his little girl. I am the sister of a girl; a girl who was not born into but brought into our family, yet loved the same. I am the sister of a girl; a girl who should not have had to go through the life she has led. I am the sister of a girl; a girl who too quickly had to learn what it meant to be a woman. I am the sister of a woman; a woman who stands strong and holds her world in her heart. I am the sister of a woman; a woman who is working hard to be everything her daughter needs. I am the sister of a boy; a boy who struggled to find his own way and his own place to shine in the wake of his older brothers choices. I am the sister of a man; a man who found that place and who is standing stronger than I had ever imagined humanly possible. I am the sister of a man; a man who is working hard to step up to the plate and who has forged ahead despite life's struggles. I am the sister of a girl; the sister of a girl who knows all too well what loss looks like. I am the sister of a woman; the sister of a woman who stands strong and carries on for herself and for those she loves. I am the daughter; the daughter of parents who had to lose a child before any parent ever should. I am the daughter; the daughter of two people who are working on themselves just as their children are and that is a beautiful thing. I am the sister to brothers who have gone to war; one who chose to serve our country and one who fought a war within himself long before any of us ever knew. I am me. I am a people pleaser, some days it can be my greatest attribute and some days it is my Achilles heel. I am me. I am a product of the life I have led, of the people I have loved, of the people I have lost and of the future I am working hard to keep on track. I am a wife; a wife who is trying to be the person she needs for the man who has never once faltered, to the man who has put his own wishes aside to stand by her. And I will be better. I am a friend; a friend to some of the best people any lifetime could ever ask for. A friend to people who have shown up, help me up, and kept me going. Everywhere I have been, everyone I have met, every factor of every part of my past has brought me to this place and helped shape who I am and it is those factors that will lead me on from here, one day at a time. Everything above is part of me. There may be parts that are harder for me to look at but they all make me who I am. I am learning to accept that. I am learning to accept that the dark parts just make the brighter parts shine that much more. Yet, it is all just a part, because to sum up everything that us brought us to where we are would take us until the end of our days. And on that note, I am going to end with this prompt, just because my brain feels like ending things a little more sunshiney. If you could take three months off from your current life and do anything in the world, what would you do? 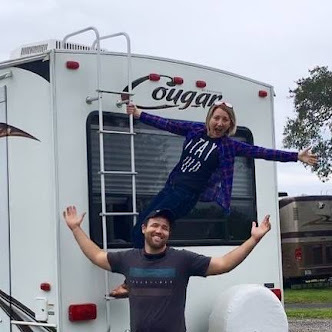 This one was pretty easy too, because just the other day I sent Babe a text that said... "Let's just be like Minnie and Mickey, move into Disney and forget the outside world." Typically he would respond with some, "you are crazy" type thing and I would be left to roll my eyes. But this time he responded with "I wish." So, I decided that was making progress and maybe I could make it happen someday. Anyways... I would totally do that. I would move into Disney for a month. Right into the castle. Live there and frolic in all of the "forget the world" Disney glory. Then, I would rent an RV and road trip the USA for the next two. I know it isn't some big, grand, fantastical sounding plan. But it's mine and it's simple and right now simple is right where I would like to be. This has not a lot to do with this post, except that I love her little face and it makes me happy, so I figured it was a good start. It's a Saturday. I haven't been here in forever and I have so very much missed this place. 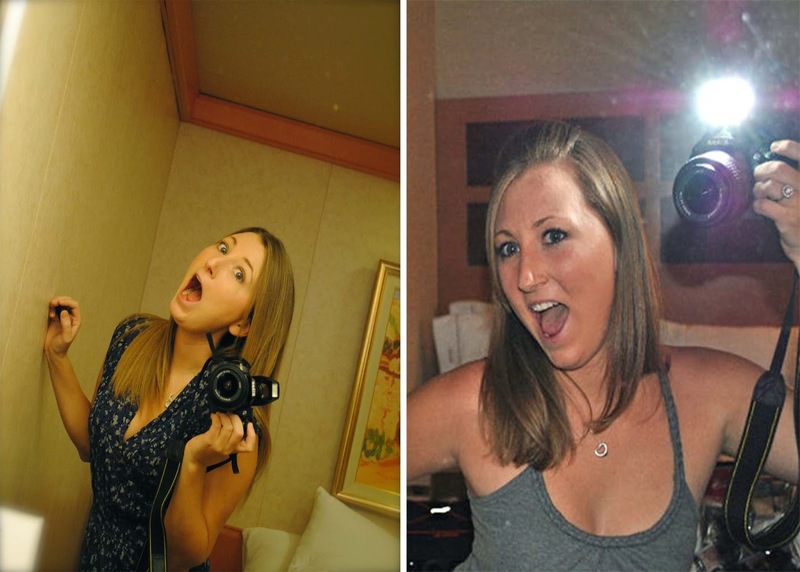 It is also September and when I saw Jenni's challenge, I thought, "Oh I so want to partake." And yet I knew, realistically, that it was just not going to happen. I was also hoping to stay on target with the Whatever Wednesday ladies. But life has done that thing is tends to do and has thrown curve ball after curve ball. And in the matter of a few weeks I went from working about 5 hours a week outside of the house, to over 50. Which leaves me with less time for this place. But sometimes life is funny like that because I realized, in the time that I have tried to spend on here when I can find it, my mind can still not let itself focus on writing about anything but my brother and some things are just not in the place (or maybe I am not in the place) that they should be for me to hit publish. I have written so much and left so much of it unfinished because I don't really seem to know how to put an end to things these days. It is funny to me how work has now become such a vital part of my moments. God knew that I would need the distraction. My days are so full it leaves less time (or no time) to focus on places my mind would go if it could. And then Saturday rolls around and I'm left with too much time. And so Saturday is going to be my 'here day'. Because last Saturday can not happen again. I started it off by deciding to watch one Harry Potter movie, which turned into three, which turned into not leaving the bed. The rest was probably needed for my body, but it was also painful for my heart and soul. I know my mind needs that time to process but for right now I am choosing to let work and people be my distraction, so that I do not end up with the covers over my head everyday of the week. Today wanted to follow suit but I am determined to focus elsewhere. If you could take three months off from your current life and do anything in the world, what would you do?